I just finished Amy Schumer's book, " Girl With the Lower Back Tattoo". I spent a good chunk of my formative years in Catholic school, so her comedy usually makes me have a permanent blush for an hour - but what can I say, I still love it! I think she is hilarious, and of course found her book to be as well- but I was also surprised by how honest and heartfelt it was as well! 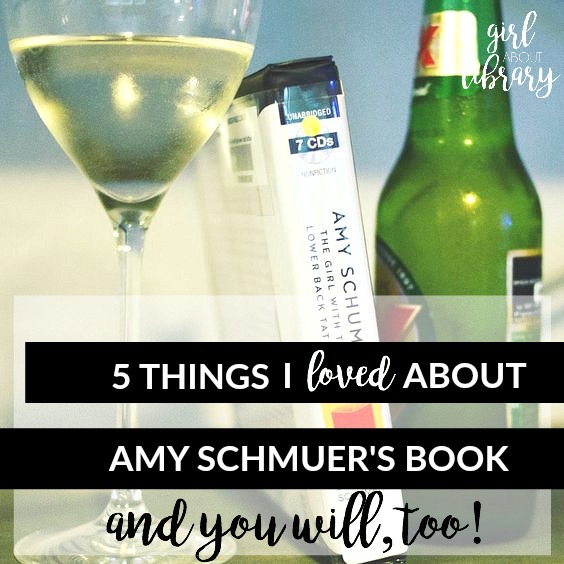 Here are five things I loved about her book, and I think you will, too! "I don't know how introverts survived without the internet, or with the internet, actually I don't know how we survive at all - it feels impossible. " 2. Amy Schumer's thoughts on being "new money" - Amy's parents were rich when she was younger and the stories are pretty great - Amy's take on her families frequent lobster nights had me rolling. Her family's wealth came from selling European baby furniture which predictably busted pretty quickly. And at the same time that their furniture empire fell, Amy's father became sick and then shortly thereafter her parents split. That's a lot for a middle school age kid to be going through - and Amy's take on the situation was equal parts humorous and enlightening. 3. Amy on her father having MS The sections of the book where Amy discussed her father's health were equal parts alarming and sad. I really appreciated listening to they way Amy processed it all. I did not know very much about MS before her book, and just learning about how devastating and unexpected this disease was is heartbreaking. 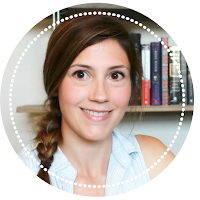 Her father's MS symptoms are debilitating, and how these episodes impacted Amy's life were deep and moving, but through it all Amy's storytelling is also humorous. 4. Amy's always been gutsy I loved how often in the book Amy was telling people off or speaking up for others. There is an especially touching moment with her father in an airport and another with her sister after the school's "mean girls" get to her. I've always thought that it would take a lot of courage/ hutzpah/ and in my case, drugs/alcohol, to stand up on stage and say and do what Amy does - now I'm sure it does, and Amy had it from an early age. 5. Amy's thoughts on having parents and being a parent As a recently inducted member of the parent club, I was really entertained and intrigued by Amy's thoughts on parents and parenting. The parenting gig isn't an easy job, and Amy does an awesome job of acknowledging that while also calling her parents out for the enormous amount of emotional baggage that came from them. I really enjoyed listening to Amy Schumer read her book and if you enjoy her stand up, the audiobook is a great way to giggle through a boring chore. I'm really going to miss her the next time I do the laundry! As a side note, I feel like I have to mention that that the book is definitely very Amy Schumer'y- like, as in, even though I know my one year old couldn't possibly have any idea what Amy was talking about, it still felt wrong to listen to this when it wasn't nap time. Have you read "Girl With the Lower Back Tattoo? Did you enjoy it? What other funny but heartfelt books have you read lately? I'd love to hear about them! Interested in reading the book? Click here to find this book at your local library or click the link below to view the book on Amazon. I'm not the biggest fan of her stand up comedy but I've had my eye on this one since it came out. I might try to get it from the library. I think I'll try to get it in audio format as well :) I think it would be good to listen to while I'm knitting. I really enjoyed this one too!!! Finding out she was an introvert and her explaining it was really interesting. I also thought her dad's battle with MS was eye opening and must have been hard for her. I wish I would have held out for the audio though. Great review!! I like Amy's comedy, but didn't really look into her book. 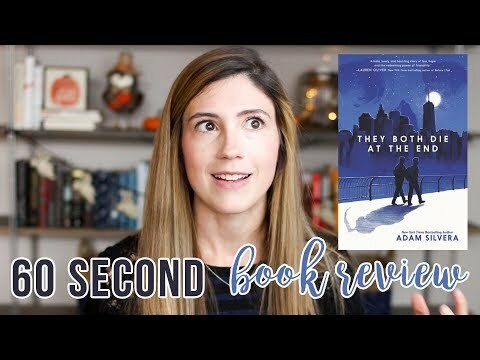 This sounds like a great read though - thank you for this wonderful review! I really enjoyed this one, too. I love Amy Schumer and went the audio route for this one. I'm glad you enjoyed this one! I have been thinking about reading this and I think you have convinced me. I don't read books by stars about stardom, but this sounds like much more than that. Thank you for sharing your thoughts. It definitely is! I thought it was going to be all stardom or all humor and it was such a surprising mix of a bunch of other awesome things instead!